Brooks running company is a shoe brand that I feel has lagged in joining the 21st century of running shoes. I say this, because the overall design of the shoes up until recently has made one feel like you were running in the 1990s. But this year appears to be a pivotal turning point for Brooks Running with the release of their DNA Amp midsole material and sleek new look of their uppers and midsole geometries. One shoe in particular that exemplifies this new refreshing trend for Brooks is the Ravenna 9. A shoe that looks nothing like its predecessor and simply calling it an update to the Ravenna 8 would be a gross understatement. 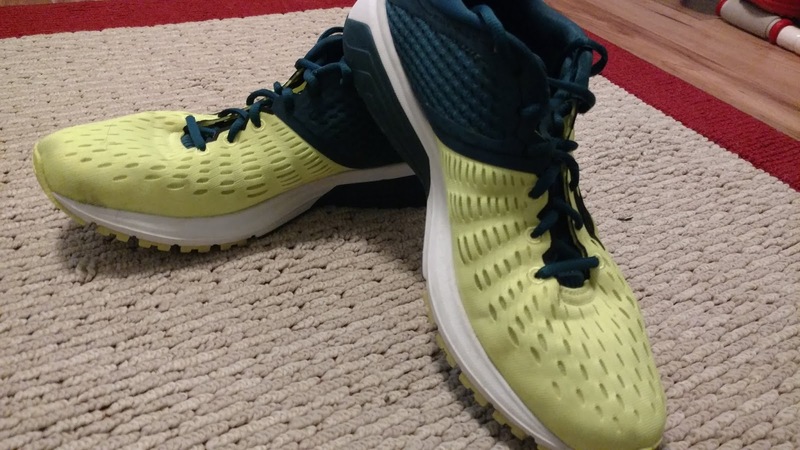 I also may or may not have found my new favorite shoe… but let’s get to the review! Love the look of this shoe. Very modern with the one piece engineered mesh. Sometimes keeping it simple is the way to go both from a functionality standpoint as well as fashion. All I have to say is WOW! This shoe fits my foot perfectly! The upper is a modern engineered mesh that is one piece with no overlays or welded seams. 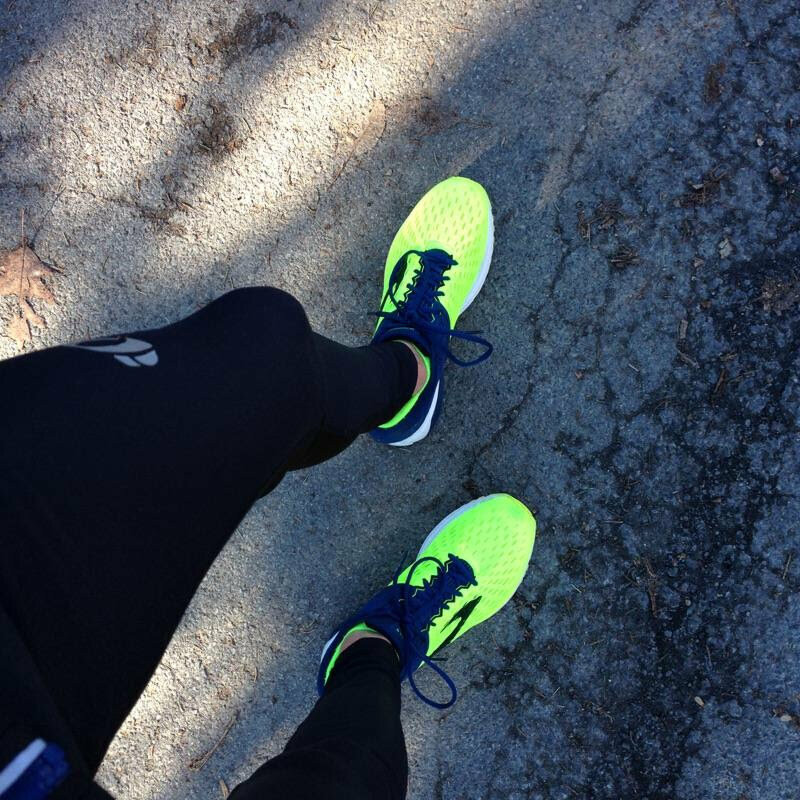 The mesh hugs the foot beautifully and provides excellent ventilation on the run with no hot spots appreciated. The lacing system is standard with an extra eyelet if you need to use the lace lock technique (you probably won’t and this is coming from me who almost always has to use it for shoes). The heel counter is firm and prominent, but amply padded to reduce irritation to those with sensitive Achilles. It also is beveled, which means that the shape follows the natural shape of the heel. A lot of companies still make heels that flare out way too much (Nike Epic React, Adidas Ultra Boost, VaporFly 4%), which can lead to premature contact leading to instability on landing. But the most important aspect of the heel counter is that it actually holds the posterior part of the foot - and does it hold it well! There is absolutely zero heel slippage or movement in this shoe. 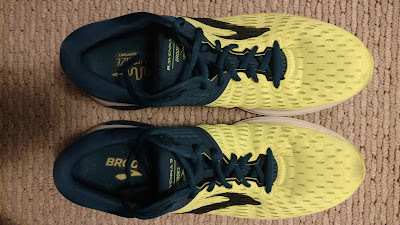 Thank you Brooks for being the first shoe company to ever make daily trainer shoe that is narrow in the heel and midfoot with enough room in the forefoot. I thought it would never happen, but Brooks did their research in designing this shoes upper fit. Despite the snug fit of the upper, the foot does not feel compressed and even if you have an average to moderately wide foot, there is enough give to the upper to obtain a comfortable fit. The toe box length is also an area where shoe companies either add too much length (Salming, Skechers) or too little (Adidas), but again, Brooks gives just enough volume for the forefoot without being sloppy. The final point about the upper I’d like to make is the design. These shoes look awesome! I don’t feel like I am wearing a pair of old man running shoes. I love the bright colors and the subtle reflective material along the midfoot saddle and the Brooks Running logo embedded within the engineered mesh. Welcome to the 21st century of running shoes Brooks. Note nice beveling of the heel and a slight bias (minimal flare) on the medial side of the heel. The heel cup is firm, but there is enough padding in the heel collar to minimize Achilles irritation. I also would like to talk about how well this shoe fits and how critically important it is (especially for a stability shoe). First let’s talk about the heel. The secure fit of the posterior part of the foot allows the foot to fully engage with the decoupled heel and lessens the amount of mobility in the heel/ankle region. The end result is the foot and shoe work in tandem, which increases comfort and ultimately compliments one’s gait. Furthermore, having such a snug upper allows the foot to fully engage with the midsole unit (see below about the progressive roll bar). I feel this comfort and sensation of the shoe disappearing is extremely important and it appears more and more studies agree with this concept. This is likely due to the fact that a comfortable shoe is one that works with your foot and not against it. Why it is extremely important to try many different types of shoes and to not peg yourself into one category. For example, I have some shoes that are neutral that I can run in without issues, but other neutral models that I cannot. My point is, every shoe is different and every person’s foot and gait is different. Don’t be afraid to try something new and different (but with caution). I was able to lace these up without using the last loop. That never happens for me on a shoe! Even if you have a wider foot, the engineered mesh will have enough give to feel comfortable. Also there is no overlays, so nothing to poke or irritated your foot. The magic material in this shoe for the midsole is Brooks patented BioMoGo DNA. 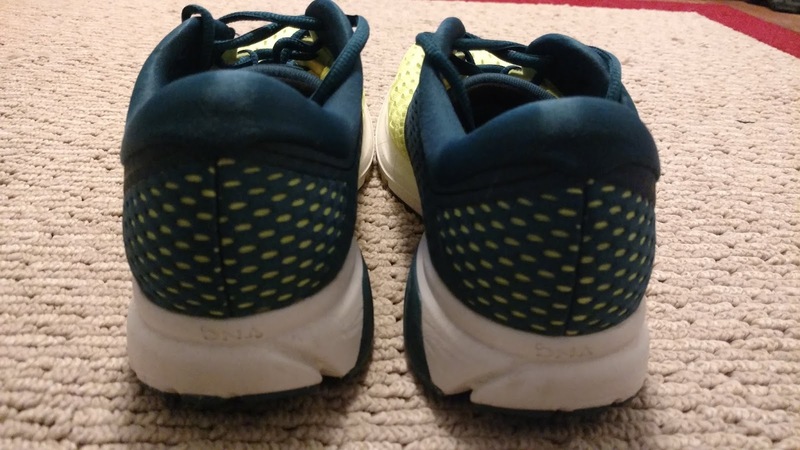 This midsole material is described by Brooks Running as the following: “BioMoGo DNA fuses BioMoGo midsole and DNA cushioning technology for a fully custom responsive ride that adapts to the needs of each and every runner.” Yes, I know it may sound a bit gimmicky, but it works. Basically what this foam consists of is gel and EVA that is blended together, which creates a non-Newtonium material. So you are probably wondering, “What in the world is non-Newtonian material?” This type of material is a substance that when a force is applied to it, it behaves differently than one would expect. Before I lose you completely, I’ll give you a perfect example using corn starch. If you place your hand in it gently, it is easy submerge your hand. But, if you attempt to smash your hand on the surface it becomes solid. Here is a link to a cool YouTube video showing this concept in action (https://youtu.be/RkLn2gR7SyE) pretty nifty right? 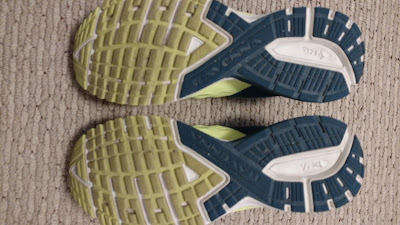 This is true of Brook’s midsole BioMoGo DNA technology (see link here è (http://www.brooksrunning.com/en_us/01-12-2010.html?q=shoes). 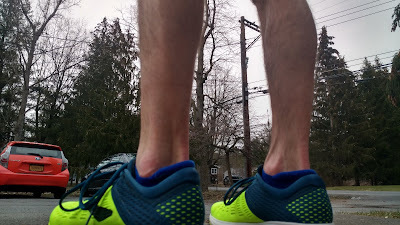 When running at slower paces you can appreciate a nice level of protection from the road (not pillow soft, but protective), but when the pace is increased the material firms up and you really appreciate the explosiveness of the BioMoGo DNA foam with increased force. The magic of the DNA cushioning noted on the bottom of the exposed heel midsole. Now that I have completely geeked out over the DNA foam component of the midsole material, let’s talk about how it feels when running. Once again, I was (and continue) to be blown away by how freaking comfortably this shoe is. Honestly, I cannot think of a more perfect shoe for my gait, foot shape/size, and feel. 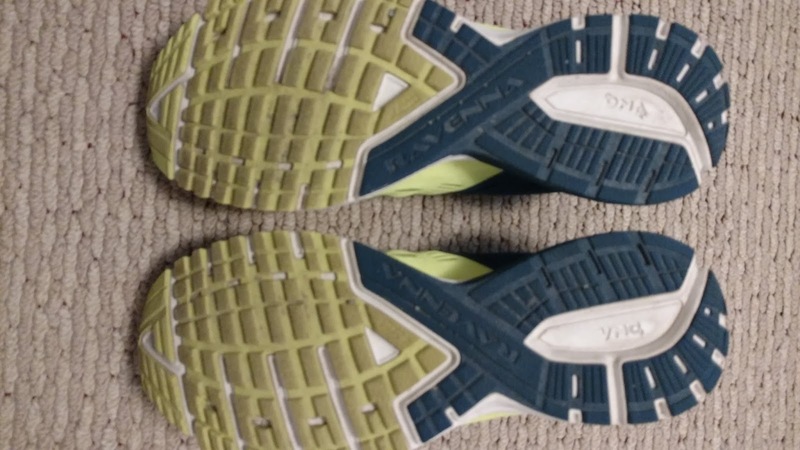 This shoe can work for any type of run and even with a stability component can work for even neutral runners. This is because the stability element utilized in the midsole is a progressive roll bar and a mild medial post in the heel. Using a diagonal roll bar means that the density gradually decreases from the media aspect of the shoe to the lateral aspect and is placed in the midfoot to forefoot region. What this means is the foot is unobtrusively deaccelerated to help lessen the speed of internal rotation (i.e over pronation) of the heel/midfoot during landing and push off in the gait cycle. This is opposite of a traditional post, which is merely a very dense piece of plastic or midsole material placed along the midfoot or heel. In other words, one can think of a traditional post as a stop sign and the diagonal roll bar as a speed bump. Both are designed to slow you down, but the speed bump guidance gives a gentle reminder versus the stop sign making you come to a dead stop. That’s why my physical therapist likes this type of stability because it works with the foot, not against it. I’ll also let Matt throw in his thoughts on this manner as well. The outsole is made up of blown rubber and has excellent traction, even on snowy roads. I also appreciate the decent amount of forefoot flex and the rigidity of the heel to midfoot. I point out this design aspect, because it allows a very smooth controlled transition from heel to forefoot during the gait cycle and flexes at the appropriate location (there shouldn’t be a flex zone in the heel and/or midfoot as these regions of the human foot are rigid structures with no joints). Brooks did their homework here and prove once again how form follows function. Note the "X" in the midfoot region. This is the transition zone were the diagonal roll bar engages with the foot. The solid blue heel is the medial side and the midsole durometer (or hardness) decreases laterally and anterior (towards the front) of the shoe. Paired with a prominent flew zones in the forefoot for the toes results in a very smooth gait cycle. I definitely approve of what Brooks did with the Ravenna 9. Instead of the heavily posted shoe in the past, they modified it using a diagonal roll bar or progressive posting as I call it. I am happy that more companies are moving toward this. Adidas is using this with progressive Boost (called energized stability), New Balance has done this with the Vongo, Skechers with the Forza and a few others. Stability should be progressive and not overbearing. The progressive stability better mimics how the arch is controlled. It is controlled by muscles, which lower the arch eccentrically. This eccentric loading improves shock absorption, instead of just a rigid stop. Rigid feet actually may have higher rates of injury compared to flexible feet due to the lack of shock absorption. Thus the stability in shoes should reflect that progressive loading. Hence why the progressive diagonal roll bar is such a great idea. My other non-biomechanical input is that I am excited to see another light stability shoe on the market. This market is small (and apparently can be difficult to sell), but personally find that a little stability goes a long way. Whereas a great deal tends to inhibit or restrict things. There are obviously biomechanical exceptions to this, but I personally would rather have a little stability and some muscle/movement retraining rather than a person just relying on the stability without working on themselves. 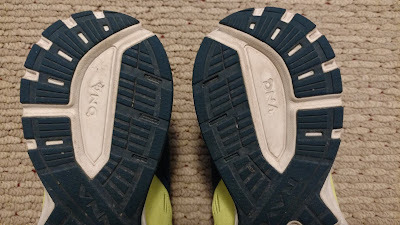 I have approximately 100miles on this pair and so far I see little to no wear on the outsole. The midsole still has plenty of spring and cushioning life. 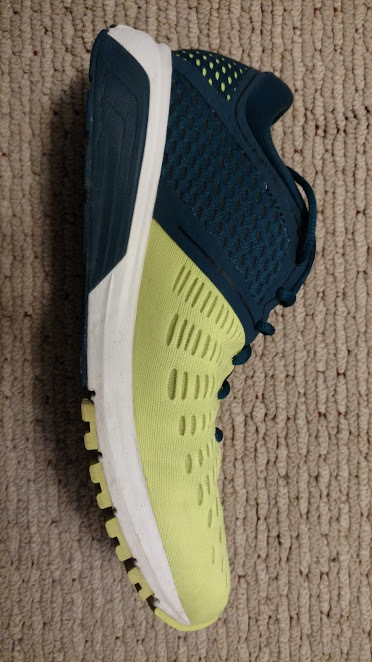 I am very light on my feet, but for the average runner I could someone getting 300 miles out of these due to the fact that they are light weight trainers. The uppers also have been holding up well, especially impressive since this winter (and the large quantities of salt on the road) never seems to leave here in upstate New York. Brooks, if you happen to read this. PLEASE DO NOT CHANGE THIS SHOE. Thanks. Brooks did an amazing job on revamping a shoe that was dated and clunky. Brooks now has a versatile light/moderate weight daily trainer with light stability that can work for a wide range of runners. The current trend in running companies is to slap some fancy new squishy bouncy everlasting foam and claiming it to be a miracle shoe. The reality of the matter is that you still need to have proper form for the shoe. The form being how the upper, midsole/outsole, and materials feel and interact with the foot. Sure you can put a V8 engine in a minivan, but it will never have the aerodynamics of a Ferrari. Why, because form follows function. 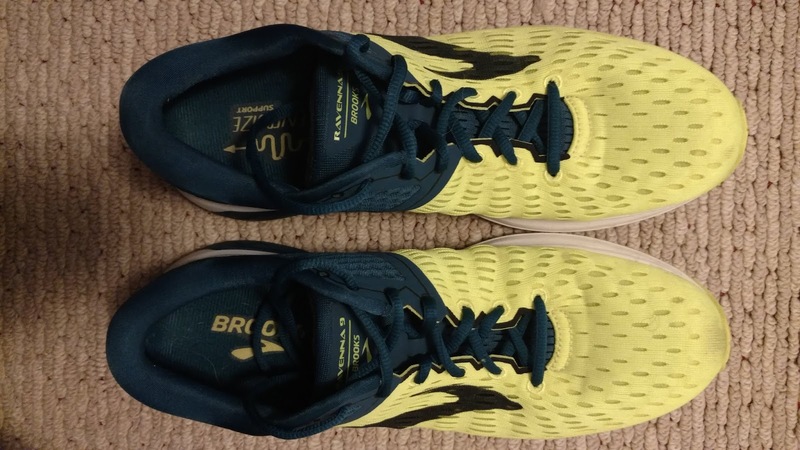 A shoe should complement, not fight your foot and gait cycle and I feel that Brooks definitely followed that scientific principal with designing this shoe. The Ravenna 9 is a fantastic shoe that is affordable and has the versatility to be used as an all-purpose shoe from long runs to intervals on the track and can work for neutral to excess mobility in the ankle and posterior foot alike. ***Disclaimer: These shoes were a personal purchase from Running Warehouse and were purchased at their full US retail price. We put at least 50-75 miles on trainers and 10-25 miles on racing flats prior to reviewing them. Currently I have 130 miles on my pair of Ravenna 9s. If you are a footwear rep looking for footwear reviews or consultations on development, we are currently looking to partner with companies to assist, discuss and promote footwear models. Partnership will not affect the honesty of our reviews.